Obviously, I'm a lover of fantasy fiction. I've particularly loved epic fantasy, but the more I read of it, the less excited I was about it. Although I still love the atmosphere of the genre, all the stories were beginning to feel the same. So, I was pleasantly surprised with Whispers at the Altar. 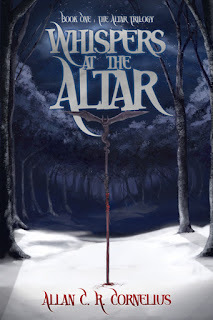 In this first book of The Altar Trilogy, Allan C. R. Cornelius combines the best aspects of the genre with fascinating characters in order to tell a fresh, exciting tale. Christa is half-elf and half-human in a world where the elves and humans live in separate spheres. Through her story, Cornelius explores the ramifications of such a separation on individuals and on society as a whole. When Christa is accepted at a school for magically gifted elves, she has to fight for respect from both professors and classmates. It's at this school that the story is at its most compelling--not only for Christa's internal journey, but because of the supporting cast. Too often, friendships among girls are depicted as trivial or unnecessarily catty, but here, Christa's relationships with Sinna, Westrel, and even Vaniel are formative and given the opportunity to change and grow. In a book world that gets hung up on the "likeability" of female characters, Cornelius is unafraid in his portrayal of his young heroine. A far cry from the perfect heroes of the genre, she's headstrong and eager to prove herself and in doing so, makes mistakes. It's that exploration of Christa's character--who she is, what she wants, and what she's willing to do to get what she wants--that is the book's core strength. 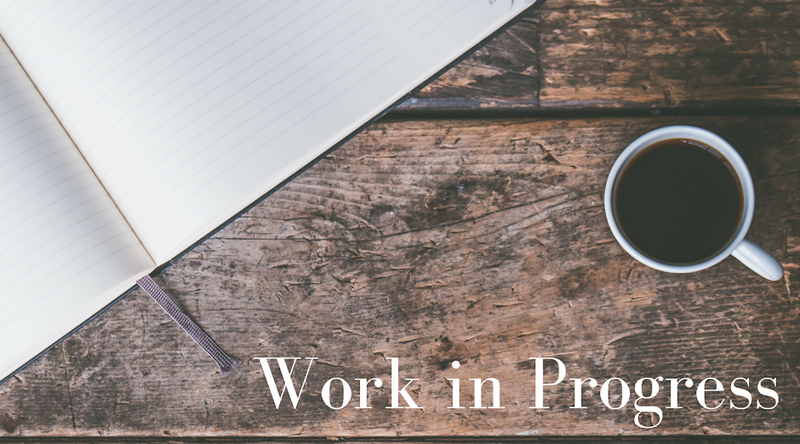 While Christa is the book's main focus, Steven provides a perspective of what's going on in the world outside the school and broadens the novel's scope. His relationship with Brogan grounds that story line and lets Cornelius explore the theme of family set against the backdrop of a shifting world. The imagery of Steven's chapters is a particular strength, and the two story lines meet up in a satisfactory way during the climax. Cornelius's first installment in The Altar Trilogy is a must-read for fantasy fans, especially those who are looking for a fresh take on the genre. Whispers at the Altar is available for pre-order and will be released in July! Check Allan out on Twitter and on his website.